I love this photograph, taken by our friend Shawn in Los Angeles. The colored lights up against the blue sky along with the variety of palm trees is particularly striking. 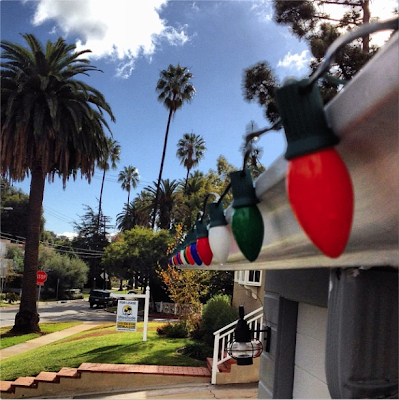 Definitely says "Christmas in L.A."